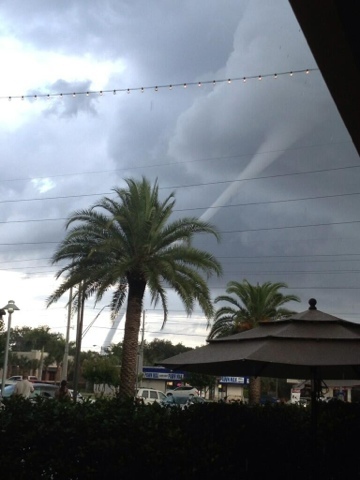 Normal Florida summertime afternoon thunder showers create waterspout/tornado in Northern Pinellas County (Clearwater, Dunedin, Oldsmar, Safety Harbor). Heavy rain and thunder too. Tornado warning in effect until 715pm. Not related to Chantal which may be visiting us this weekend.